The planet is facing many challenges in 2019 but feeding the growing population is definitely one of the biggest. Agri-tech is providing real innovation in the industry as scientists, agricultural experts and engineers work together to find solutions. Some save time, some save money, but the overall aim is to improve efficiency and the potential output of agriculture to meet demand. Could agri-tech save the world? In this post, we will look a little closer to find out. To understand why we need solutions we need to have a good grasp of the problem. Farmers are facing increasing demands for higher output while the costs have been rising exponentially. Farmers are finding it harder and harder to stay afloat but as a global population, we can’t afford for them to go out of business. This is why agri-tech is essential for the future of farming. By using technology and data, farmers are able to increase production, use fewer resources and take up less land. It is so significant that the UK government is investing £160 million into an Agri-Tech Strategy with the intention of supporting British farmers and position the UK as leaders in the industry. The possibilities are developing at a fast rate but here are a few applications that are currently being invested in considerably in today’s market. Robotics– as with most of the robotic applications, the purpose is to reduce the need for human labour. These include fruit picking, sheep shearing and even driverless tractors. 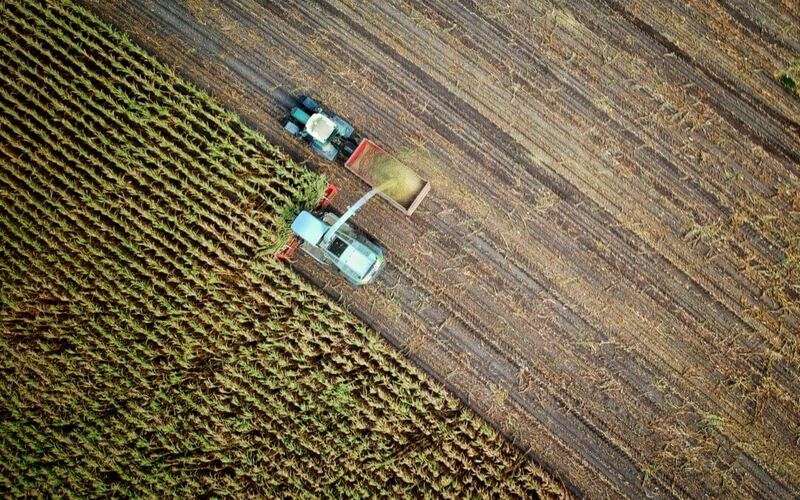 Drones– drones are helping farmers with an increasing range of tasks including soil inspection, crop monitoring, irrigation and planting. Internet of Things– with internet-enabled communications, more and more applications have IoT technology. For farmers, this can help them to track farm vehicles, monitor livestock and storage. The data can be stored in the cloud and accessed by the farmer via any device. Biotechnology– although biotech includes historic practices such as fermenting, scientists are currently working on using this technology to improve food production, to stabilize yields and make crops resilient to pests, disease, drought or adverse weather conditions. Additionally, they are working to improve the nutritional content of food. Here at Nexus IE we specialise in providing bespoke engineering solutions for complex technology products. To book a call/ for more information/ book a visit, contact us here.